The Bromley wall mounted radiator combines classic styling with function, a must for all traditional bathrooms. 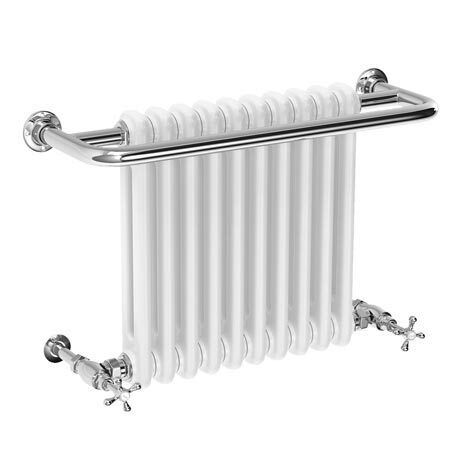 Features quality steel tubing with an attractive polished chrome finish and a period style white enamel column radiator. With outstanding heat output this radiator is ideal for heating towels as well as the bathroom. "Good service and instant delivery to Ireland, thanks!" Turn up as expected looks good.